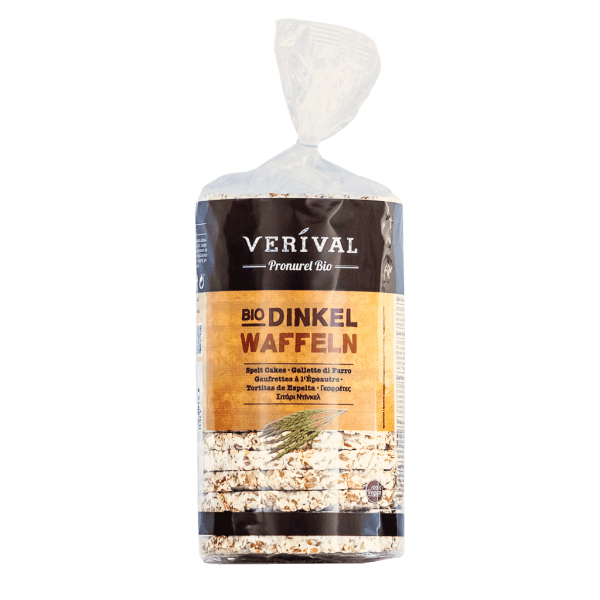 The Verival Spelt Waffles are produced from puffed spelt grains using a particularly gentle process. This way, the high fibre content of the light and crunchy waffles can be preserved. They are excellent as a base for sweet and spicy spreads and as nibbles. > May contain traces of soy. Bake in the oven before serving for extra-crispiness.